Artificial intelligence is a topic that should interest us all – as it revolutionizes the world with every second and in unimaginable ways. And the healthcare system is one of the areas that AI has already started to revolutionize. These are the main ways in which that is happening. Due to the introduction of personalized diagnosis and precision medicine, now doctors and advanced practice professionals can treat a patient’s condition, by taking into account his/her background, as opposed to merely treating the disease. This is accomplished by using proteomics, which is a type of DNA mapping, as well as advanced AI machine learning. Occam’s Razor is also known as the Law of Parsimony, and it refers to providing a range of solutions to a given problem. Also, according to this principle, the simplest solution is, most of the time, the correct one. 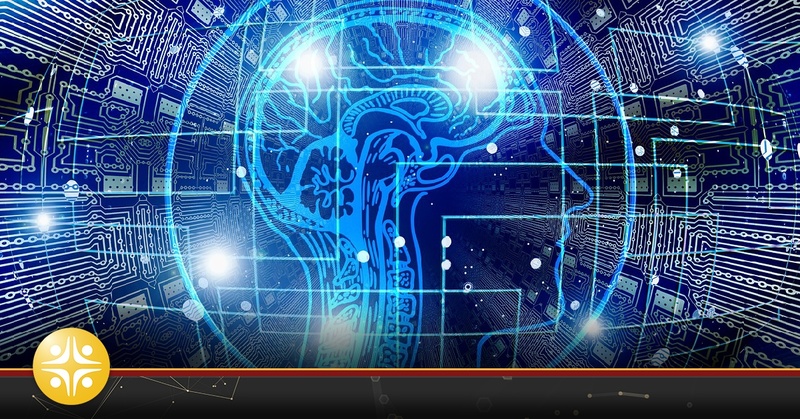 Considering that both machine learning and AI doesn’t have the human assumption element, their capacity for reading and analyzing amounts of data can significantly increase the accuracy of the diagnosis. Accordingly, this can be helpful in diagnosing elderly patients, in particular, as they are more likely to suffer from various diseases at the same time. DeepMind is a Google-owned AI company that has come up with a way of diagnosing eye disease. After assessing and attentively analyzing the medical records of a significant number of patients, it has created a range of algorithms that should help doctors diagnose eye illness earlier. This merely outlines that, even though AI is innovating almost every field, it still relies on human help. It appears that AI can also play an important role in treating cancer, which affects more and more people. Accordingly, the CareEdit tool can be utilized by oncologists for crating practice guidelines. To be more specific, the tool analyzes considerable amounts of data such as past treatment regimens, aiming at comprising a clinical decision support system that should help physicians treat each patient. This can significantly enhance the rate of survival while cutting down the costs associated with the treatments. Interestingly enough, some apps carry the roles of personal health coaches. These apps function the same way as a customer service representative at a call center. What is more, the digital assistant can do as much as take notes, ask questions, even provide specific advice while streaming the information to the healthcare provider. This has the role of simplifying the process. Did you ever think that the science behind facial recognition could eventually spot depression? A team of researchers from Harvard and the University of Vermont decided to take facial recognition technology to another level, thus, creating a machine learning program that is capable of diagnosing depression in selfies. It appears that the program’s accuracy is of 70 percent. Concurrently, there are state-of-the-art apps that depend on IBM technology to assess a user’s health and fitness goals. It also compare’s the user’s data to come up with an exercising and dieting plan whose rate of success is highest. This can be quite useful for whoever is trying to lose weight. Of course, there is also the option of bariatric surgery procedures, such as the ones provided by RenewBariatrics.com. The impact of electronic medical records (EHRs) on health information technology is one of the most controversial topics of debate of the last decade. They represent a turning point in improving quality of care while increasing productivity and timeliness as well. Unfortunately, many health care providers find them cumbersome and difficult to use, leading to substantial technology resistance and widespread inefficiency. However, there are intentions to incorporate AI and machine learning into EHRs. Whether AI ends up coming from a not-yet-known killer app remains to be seen. As you can see, technology is taking over the world, and the medical healthcare system makes no exception whatsoever. Even though machines could never entirely replace the need for healthcare providers, it remains an obvious concern. Despite this, the impact of technology on healthcare is overall positive, with the benefits far outweighing the disadvantages. It is undeniable that facilities need to hire medical personnel with the appropriate technical skills and educated on advancements made after that. The small pool of medical professionals available makes the search twice as difficult. MedSource Consultants has over 20 years of experience recruiting physicians and advanced practice professionals with the specialization required of technology driven healthcare entities today.